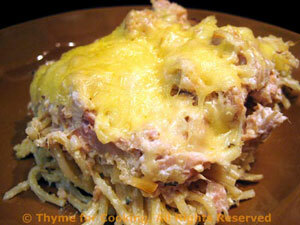 Thyme for Cooking Dinner tonight: Tuna and Spaghetti Timbale. 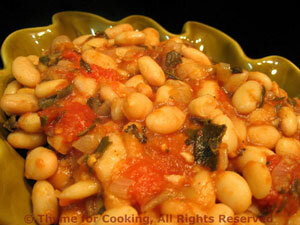 Not quite a Spaghetti Pie; not quite a Tuna Casserole. It's an updated, combined, healthier version. If you have a spring-form pan (like for cheesecake) you could use that, let it rest 5 minutes, and unmold for a proper timbale. This should finish the ricotta.